As would be expected in a game played with odd-shaped balls, rugby is a sport that tickles the funny bone like no other. The world of rugby goes beyond the pitch. It is filled with countless characters and stories, adventures and mishaps, many of which have gone down in rugby legend – and most of which are completely hilarious. Odd Balls takes these stories from the mouths of the legends themselves and puts them on the page. All the great players and characters of the world of rugby of the past and the present are here: Willie Anderson, Peter Clohessy, Willie Duggan, Gareth Edwards, Mick Galwey, Moss Keane, Jack Kyle, Paul O’Connell, Brian O’Driscoll, Ronan O’Gara … and the many players who have attained legendary status more for their activities off the pitch than for anything they ever did on it! 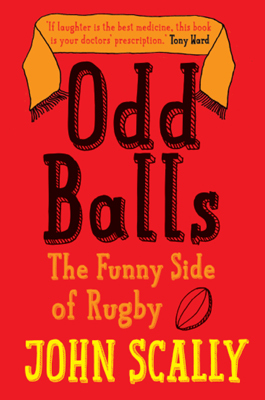 This book takes the best of the best, from Lansdowne to the Lions, and brings them together into a package of rugby anecdotes guaranteed to have you in stitches – no medic required! If laughter be the food of rugby, play on. 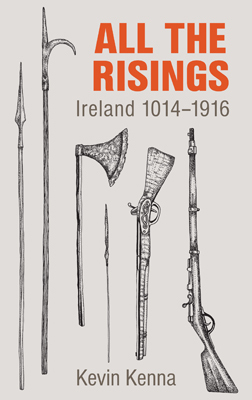 A native of Roscommon John Scally is the author of over 20 sports books including the best-selling biographies of Dermot Earley, Tony Ward and Ger Loughnane as well as ghostwriting the best-selling ‘No Pat on the Back’ for Pat Spillane.